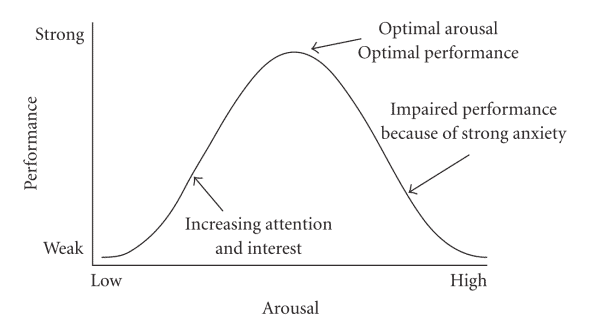 The most popular account for the relationship between arousal and performance is the model of Individual Zones of Optimal Functioning (Hanin, 1997, 2000). IZOF proposes that there are individual differences in the way people react to anxiety. Some tend to succeed when anxiety is low while others tend to succeed when anxiety is high. Therefore each person has his/her own preferred level of anxiety that allows them to perform at their optimum. When athletes are in their optimal performance zone this means that they are in they preferred level of anxiety. If an athlete experiences too much or too little anxiety, this can hinder performance, as the athlete is out of his/her optimal zone (Figure 1). In addition to anxiety, IZOF allows for a description of a variety of emotional states which could be either helpful or unhelpful. While in older explanations emotions were called either positive or negative, Hanin suggested that in sport setting it is more useful to distinguish between helpful and unhelpful or optimal and dysfunctional emotions. For example, some athletes may notice that feeling excited is not conductive to performing well, while others would say that feeling angry helps them to reach their optimal performance state. Thus, the Individual Zones of Optimal Functioning model suggests that each athlete could find out his or her optimal combination of useful emotions and learn, how to reach this unique state prior to competitions. The main criticism of the Individual Zones of Optimal Functioning model is that it does not explain why some people perform better when in certain emotional states and others do not. Still, IZOF is a useful model that helps to improve athlete’s self-awareness and psychological readiness. A common way to find out the individual optimal performance zone is individualized emotion profiling. Try Sportlyzer for FREE to find out your athletes’ optimal performance zones. Individualized emotion profiling means a reconstruction of the athlete’s emotional experiences related to successful and poor performances. 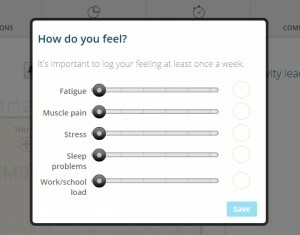 For example, in Sportlyzer, athletes can quickly check in how they are feeling, which helps to profile emotions even better as it’s easy to take a look back and analyze different factors regarding performance. Athlete identifies his/her helpful (functional) emotion patterns by selecting 4 – 5 positive and 4 – 5 negative items that best describe their emotions related to their individually successful performances in the past. Athlete identifies his/her unhelpful (dysfunctional) emotion patterns by selecting 4 – 5 positive and 4 – 5 negative items that describe his/her emotions related to poor performances. The focus of recall is either on precompetition state or on repeated experiences across several competitions with similar outcomes. 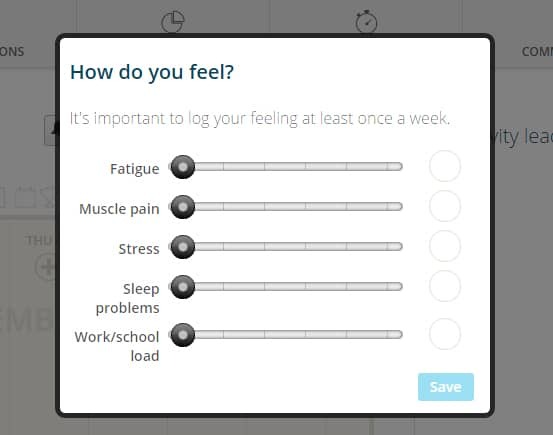 Athlete rates how intensive did those emotions feel prior to his/her successful and unsuccessful using the a10-item scale (ranging from “nothing at all” to “maximal possible”). 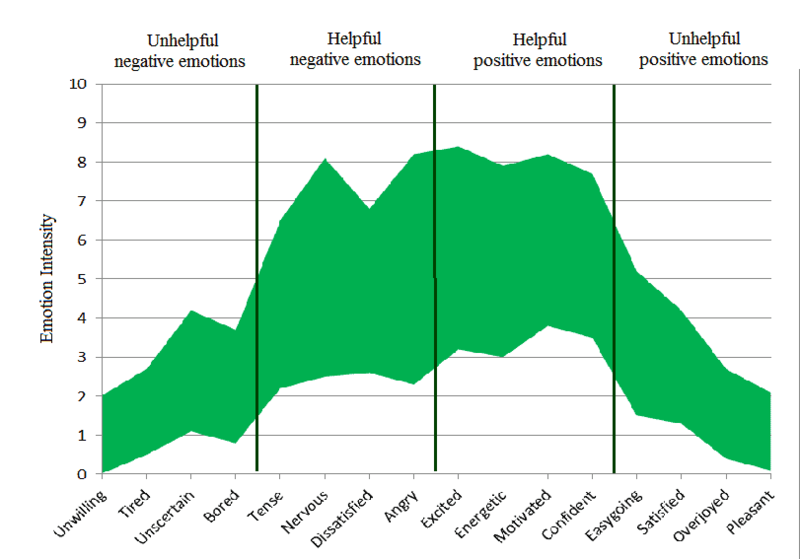 Figure 2 shows an example of helpful and unhelpful emotions profile. Hanin, Yuri L. (1997). Emotions and athletic performance: Individual zones of optimal functioning model. European Yearbook of Sport Psychology, 1, 29-72. Hanin, Y. L. (2000). Emotions in sport. Champaign, IL: Human Kinetics. Sportlyzer does many useful calculations for your athletes – sign up and give it a try!